People of some forums are discussing the Volvo S60 picture I posted a few days ago. 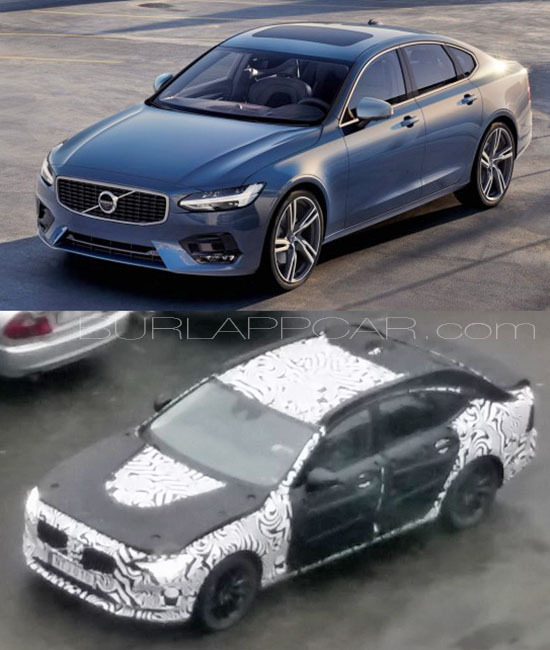 Mentioning it could actually be an older S90 spy shot. Which, I guess, it could be. And it does look very similar. Except the 3rd side window seems quite different. For me,the third window looks identical to the one in the S90. Plus,their chief designer promised that the s60 would be sportier than the s90,and that the two would be different.So,this is probably some early s90 prototype. the huge disappointment I am seeing in the Volvo sedans is the lack of panoramic sunroofs. Really? I don't know,but,from personal experience,most people that have cars with panoramic sunroof never use it. For me,this just comes across as a first world problem,being honest.Plus,a sunroof is heavy and takes headroom space.And,eventually,it will be another headache,with all the maintenance costs.I think most people don't think this far ahead,nowadays. I do feel the same about sunroofs. They are mostly an option, so if you don't like them, don't get them. But if you do, this is now 2017 and these tiny ones should not even exist anymore. It is weird for Volvo not to offer them on their sedans. Since I noticed the V90 wagon does offer a giant panoramic sunroof.